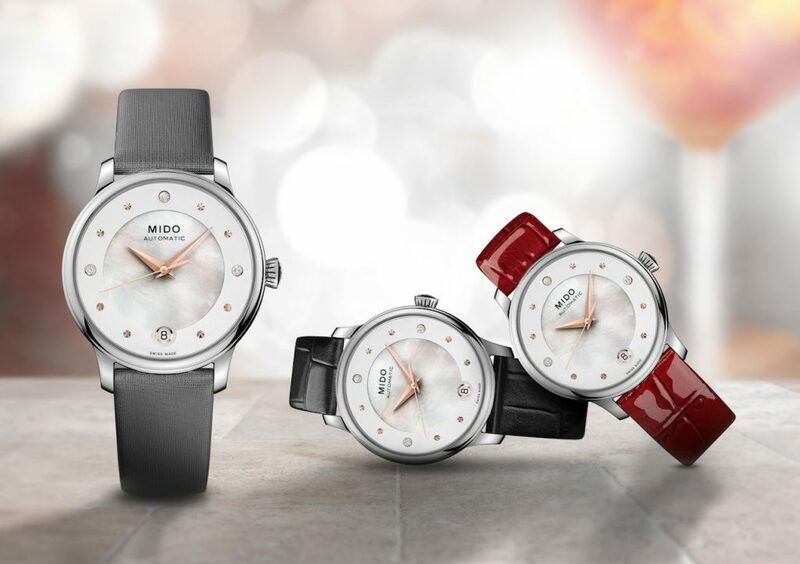 For women looking for a watch that delivers on both style and function, the new Baroncelli Lady Day & Night from Mido is the best option to consider. 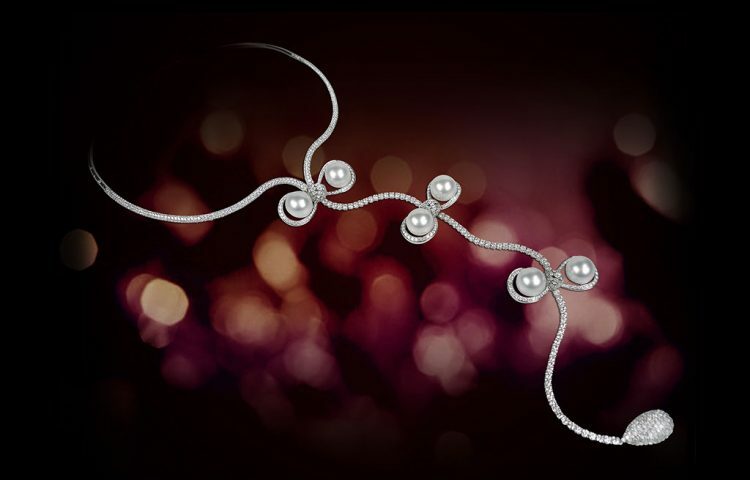 It is designed to complement every form of female audacity and is at once discreet, elegant, and provocative. 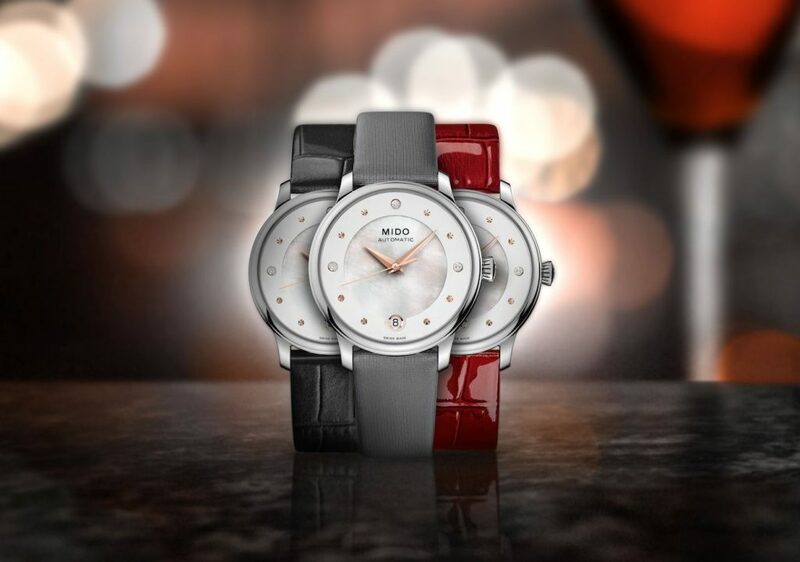 What sets the Baroncelli Lady Day & Night apart is that it offers a wealth of different style options, all in a single watch. 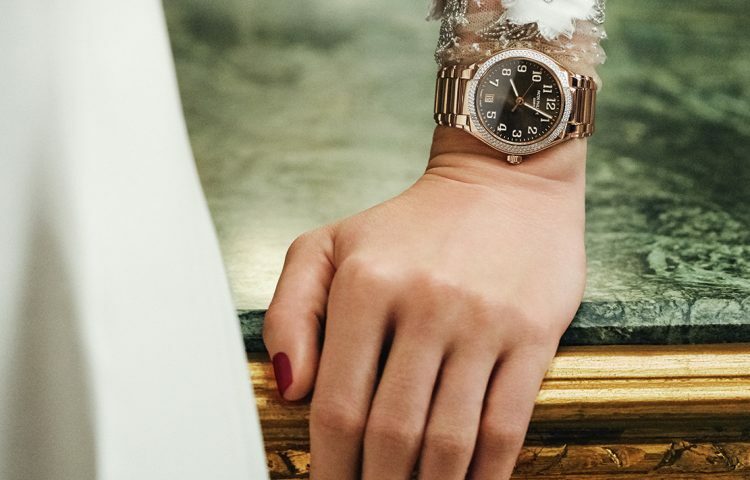 With its three easily interchangeable straps, it adapts to any occasion – whether it’s a hectic day at work, a leisurely weekend, or a glamorous night out on the town. At its core, it is a sleek, chic timepiece that sets the tone for a variety of style options. 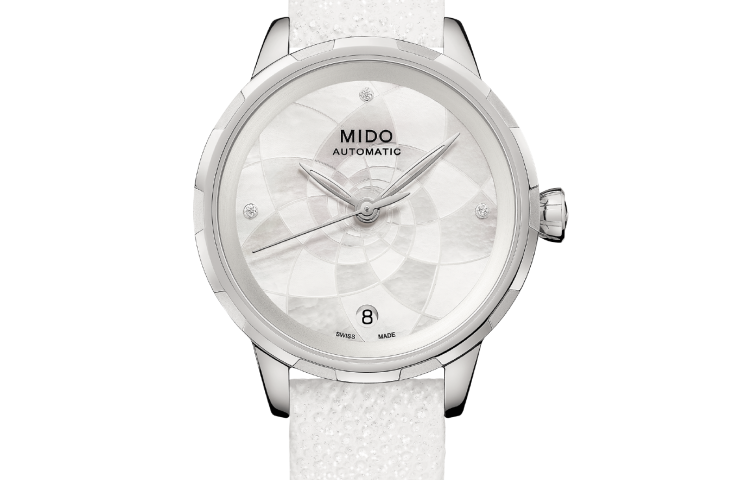 It boasts 316L stainless steel, sapphire crystal with anti-reflective treatment on both sides, and a glamorous white mother-of-pearl dial with three diamonds placed at 3, 9, and 12 o’clock, which totals 0.051 carats. The date is positioned at 6 o’clock. Upping the style quotient are the three straps, which gives the watch a different look, depending on which one you choose. First is the semi-matt black leather strap perfect for more professional occasions. Up next is a glossy lacquered red crocodile-look leather strap for a more fashionable affair. Finally, there is the grey satin-look fabric strap for dressier evening events. 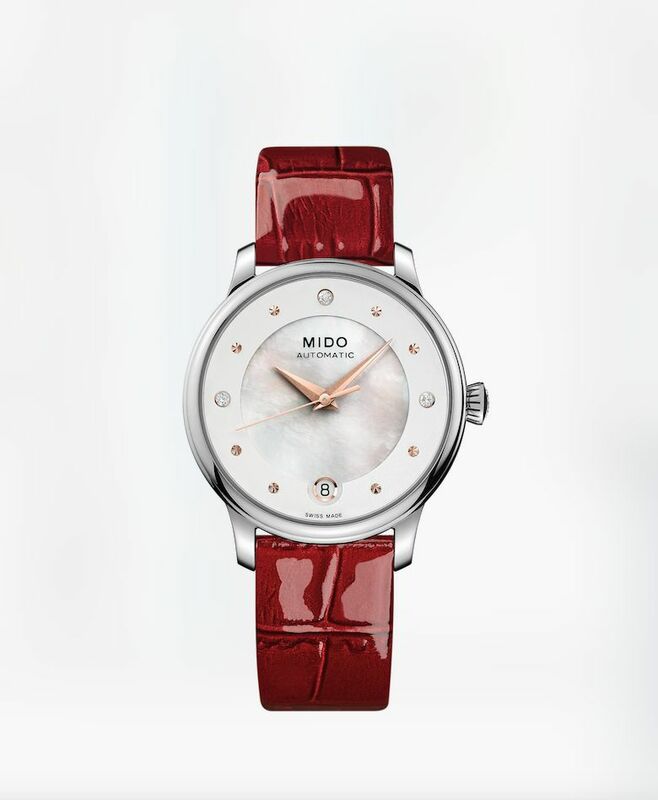 The heart of the Baroncelli Lady Day & Night is powered by the Mido Caliber 80 automatic movement. It is a next-generation automatic watch movement, which is capable of up to 80 hours of power reserve – twice as much as a regular caliber. This exceptional autonomy frees the wearer’s mind from worrying about the passing time. And combined with its stunning and elegant design, this timepiece becomes the modern woman’s perfect companion for both day and night.